Do you love Designing Your Own Missions™? Well now you can, again! Create your mission from a variety of objectives and options, and share it with the world! Random game crashes are still being investigated, if you crash, please post in the comment section when it happened and what were you doing at the time. Please post a comment if you encounter any. 1. Download RAGE Plugin Hook and install it. 3. 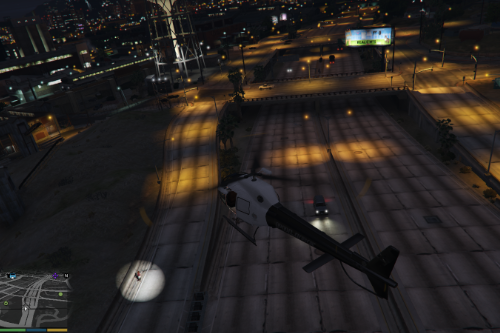 Drag everything from the zip into your GTA5 directory. 5. Once ingame, press F8! 2. Download the latest RAGEPluginHook. If that didn't work, post a link to your RagePluginHook.log file and I'll try to help you. -- Fixed it up to run on the latest RAGENativeUI and RAGEPluginHook. Huge thanks to Jeason for bringing this update! -- Added waypoints! Now you can make proper cutscenes and make actors do actual stuff! Awesome! -- Added a copy function. -- Released sourcecode: https://github.com/Guad/MissionCreator You can help by adding stuff to the model, animation, weapon lists, etc. -- Fixed on-foot camera being somewhat broken. -- Added ability to load select interiors for your mission. -- Changed how load and play mission buttons work so you don't have to type anything now. have a nice day. tell me if there is a script with the ability to send SMS messages from Lamar or Lester or Michael or Trevor? or is there a program to add audio of their conversations? This is my RAGEPluginHook.log. The Mission Creator is crashed. Help me please. [07/06/17 15.29.19.882] Initializing console variable "ConsoleScrollAmount". [07/06/17 15.29.19.887] Initializing console variable "DisableRenderVersionText". [07/06/17 15.29.19.893] Setting value of console variable "DisableRenderVersionText" to stored value. [07/06/17 15.29.19.893] Initializing console variable "ConsoleKey". [07/06/17 15.29.19.896] Setting value of console variable "ConsoleKey" to stored value. [07/06/17 15.29.19.896] Initializing console variable "PluginTimeoutThreshold". [07/06/17 15.29.19.898] Setting value of console variable "PluginTimeoutThreshold" to stored value. [07/06/17 15.29.19.898] Initializing console variable "AlwaysShowConsoleOutput". [07/06/17 15.29.19.899] Initializing console variable "ShowConsoleCommandInfoOnPluginLoad". [07/06/17 15.29.19.901] Initializing console variable "ShowOnScreenWarnings". [07/06/17 15.29.19.922] Detected Windows 10 Professional (64-bit) (10.0.15063.0)! [07/06/17 15.29.20.933] Initializing texture system. [07/06/17 15.29.54.921] Initialization code 1. [07/06/17 15.29.54.921] Initialization code 2. [07/06/17 15.29.54.922] Initialization code 3. [07/06/17 15.29.55.039] Initialization code 4. [07/06/17 15.29.55.040] Initialization code 5. [07/06/17 15.30.23.120] Initializing console variable "IsDeveloperModeEnabled". [07/06/17 15.30.23.122] Setting value of console variable "IsDeveloperModeEnabled" to stored value. [07/06/17 15.30.23.158] WARNING! Developer mode is now enabled. While in this mode, detailed error messages will be displayed. [07/06/17 15.30.23.160] Initializing console variable "TimeScale". [07/06/17 15.30.23.480] WARNING! Developer mode is now enabled. While in this mode, detailed error messages will be displayed. [07/06/17 15.30.26.785] Plugin "Mission Creator" was loaded from "MissionCreator.dll". [07/06/17 15.30.27.649] Mission Creator: Exception message: Método no encontrado: 'System.Collections.Generic.IList`1<System.Windows.Forms.Keys> Rage.KeyboardState.get_PressedKeys()'. [07/06/17 15.31.16.229] EUP Menu: Please upgrade to RAGENativeUI 1.5.0.0 (or higher) in order to continue using this plugin. [07/06/17 15.31.17.117] Mission Creator: Exception message: Método no encontrado: 'System.Collections.Generic.IList`1<System.Windows.Forms.Keys> Rage.KeyboardState.get_PressedKeys()'. @Guadmaz any news on an update?? Um.... Hello, can I somehow change a key for opening your mod table? I have a Menyoo trainer, so, I need other keyboard key to open it. Can you create a bus driver's mission using this mod? [20.9.2017 18:33:51.897] Initializing console variable "ConsoleScrollAmount". [20.9.2017 18:33:51.900] Initializing console variable "DisableRenderVersionText". [20.9.2017 18:33:51.904] Setting value of console variable "DisableRenderVersionText" to stored value. [20.9.2017 18:33:51.905] Initializing console variable "ConsoleKey". [20.9.2017 18:33:51.906] Initializing console variable "PluginTimeoutThreshold". [20.9.2017 18:33:51.907] Setting value of console variable "PluginTimeoutThreshold" to stored value. [20.9.2017 18:33:51.907] Initializing console variable "AlwaysShowConsoleOutput". [20.9.2017 18:33:51.908] Initializing console variable "ShowConsoleCommandInfoOnPluginLoad". [20.9.2017 18:33:51.909] Initializing console variable "ShowOnScreenWarnings". [20.9.2017 18:33:51.923] Detected Windows 8.1 Home (64-bit) (6.3.9600.0)! [20.9.2017 18:33:52.970] Initializing texture system. [20.9.2017 18:34:26.419] Initialization code 1. [20.9.2017 18:34:26.419] Initialization code 2. [20.9.2017 18:34:26.420] Initialization code 3. [20.9.2017 18:34:26.477] Initialization code 4. [20.9.2017 18:34:26.477] Initialization code 5. [20.9.2017 18:34:43.895] Initializing console variable "IsDeveloperModeEnabled". [20.9.2017 18:34:43.896] Setting value of console variable "IsDeveloperModeEnabled" to stored value. [20.9.2017 18:34:43.915] WARNING! Developer mode is now enabled. While in this mode, detailed error messages will be displayed. [20.9.2017 18:34:43.916] Initializing console variable "TimeScale". [20.9.2017 18:34:43.935] WARNING! Developer mode is now enabled. While in this mode, detailed error messages will be displayed. [20.9.2017 18:34:47.025] Plugin "Mission Creator" was loaded from "MissionCreator.dll". [20.9.2017 18:34:47.571] Mission Creator: Exception message: Method not found: 'System.Collections.Generic.IList`1<System.Windows.Forms.Keys> Rage.KeyboardState.get_PressedKeys()'. For those that are not aware Guadmaz the creator no longer makes mods, he left last year. You can try to contact him on Steam or Social Club but chances to get a response back are low. https://github.com/alexguirre/RAGENativeUI/releases/tag/1.4.1 Go to this link and download the zip file. after that, open the file and drag the RAGENativeUI.dll to the game directory. Than launch the game. PLEASE UPDATE MAP EDITOR !!! 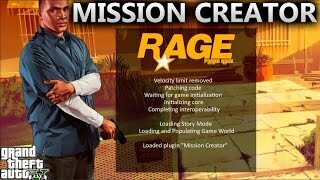 @Guadmaz when i finish the mission and hit play the plugin crashes why! can we use it in offline mode or story mode ? @Rabe3ah They are the same exact thing. 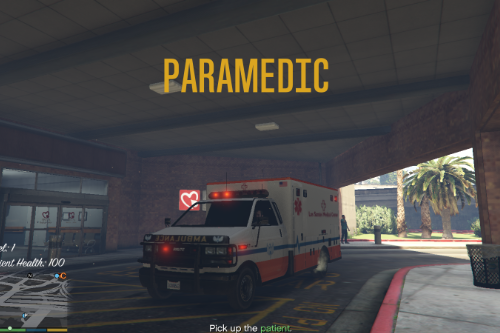 Yes you can use it in story mode, as that are what mods are made for, modding online is strictly prohibited on this site and in Rockstar's guidelines. @SomeoneAlive Yeah it does, Guadmaz hardly updates his mods after he first uploads them which is a con for modders. 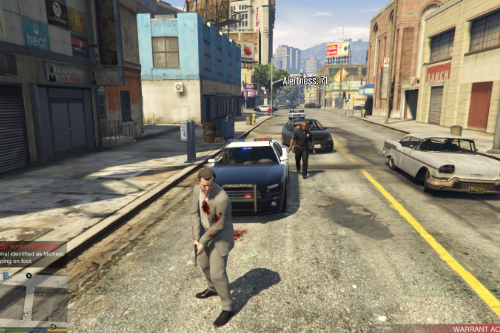 Rockstar's guidelines and ToS go against online modding, so don't cry mate. It sounds cool but it's a fake , menu does not open.